These little guys are very cute with their triangular tipped ears and along with the rest of their facial features, some people like having them in their house because they look similar to little foxes. They have sort of a wild appearance that is irresistible to many people. However, despite their cute fox-like appearance, they have amazing personalities and make great companions for many people. They are extremely intelligent and during an earthquake in 2004, a Shiba in sought out and guided rescue personnel to where his owners were trapped. His owners were an elderly man and his granddaughter, so it was amazing that a little dog saved their lives. I', not saying that if you welcome a Shiba Inu into your home, they could save your whole family in any natural disaster, but it demonstrates how loyal they are to their owners. If any of these traits or characteristics is something that you might like in a furry friend, then the Shiba Inu may be your perfect match. Good with Children: can be good with children if well socialized as a puppy. Don’t leave your Shiba alone with small children. They make excellent family dogs when children know how to handle this breed. Good with Other Pets: They cannot be trusted alone with small pets such as hamsters, rabbits, guinea pigs, etc. They do well with other dogs and coexist with cats. Some have a problem with resource guarding making them less dependable around other dogs. 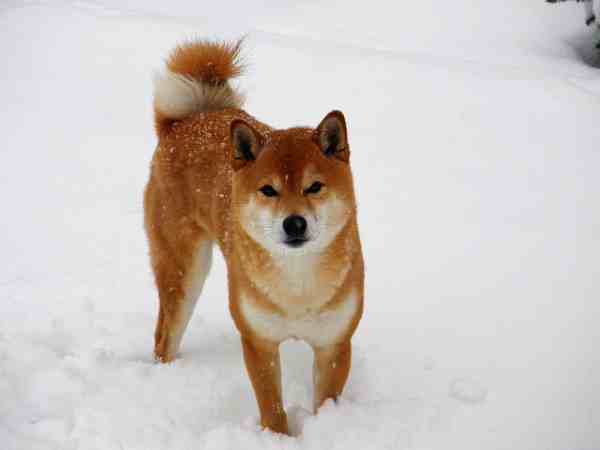 Shiba Inu, which actually means “brushwood” in Japanese, are one of the oldest breeds of dog. They are also the smallest of the Japanese native breeds. 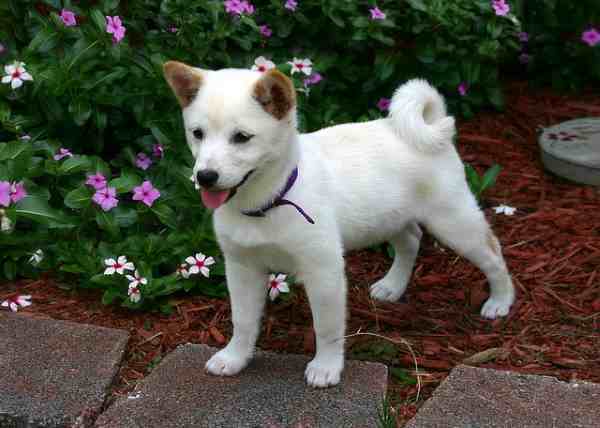 Shiba Inu also can mean “small,” and their name might have come from their size, or the terrain where they hunted. They were first bred to hunt boar, birds, and even bears. In 1936, Japan declared the breed a national treasure. Like many breeds, during World War II, the breed was nearly flushed out. Fortunately, after the war a few breeding programs worked really hard to bring the breed back. 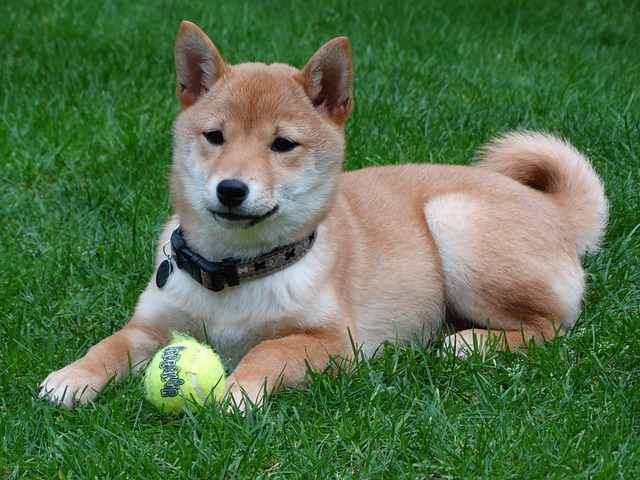 The Shiba was first documented in the U.S. in 1954, but the breed was not officially recognized by the AKC until 1992. They became the AKC’s 136th breed. They now remain one of the most popular breeds in Japan and are making their way up the chart in America and the United Kingdom. The Shiba Inu is very intelligent, but they are also very independent. This can be a good or a bad thing for them. This trait mixture means that they are extremely difficult to train. They are actually said to be one of the most difficult breeds to train. Shibas are smart enough to blow you off if they know you don’t mean what you say. 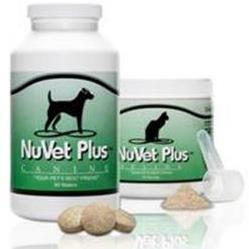 They are better for owners who have experience with training and other dogs. 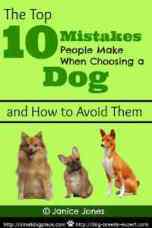 They may not be the best match for first time dog owners, or the average pet owner. Their fastidious and independent nature may be mistaken for rude or unfriendly. They may not be that warm and welcoming to strangers, but they are very closely bonded to their families. They remain loyal throughout their lifetime. Once they feel comfortable in their environment, they are compassionate, loving, and will do anything for their owners. Shibas are also very adaptable, and adapt to almost anything. This is good for apartment dwellers because of their medium size and relative quietness. However, if they do live in a smaller space, they still need proper exercise. These guys are moderately active indoors and will do just fine with an average sized yard. They also love daily walks and lots of attention. Even though they appear independent, they crave the attention of their owners. Leaving them alone for long periods of time can be problematic as they can develop separation anxiety. They have a personality that is somewhat similar to those of a cat. Independent and constantly primping, many Shiba owners claim that their pup shows some feline behaviors. This breed of dog loves to keep itself clean and will avoid rain or mud puddles. These pups actually do very well traveling as well, which is good for people who travel or move around a lot. Like most breeds, they need to be socialized at a very young age. The younger, the better when it comes to this breed. Natural born hunters, they like to show their independence and can be stubborn and narrow-minded when it comes to authority. However, a well-adjusted Shiba is great with kids and other dogs. Socialization will also help with their reserved behavior towards strangers. If they are not convinced that their owner is a strong and confident pack leader, they will take this to their advantage and try to reserve the spot of authority. The most important thing to know about owning is Shiba is to keep good human to canine communication. This is vital with this breed. 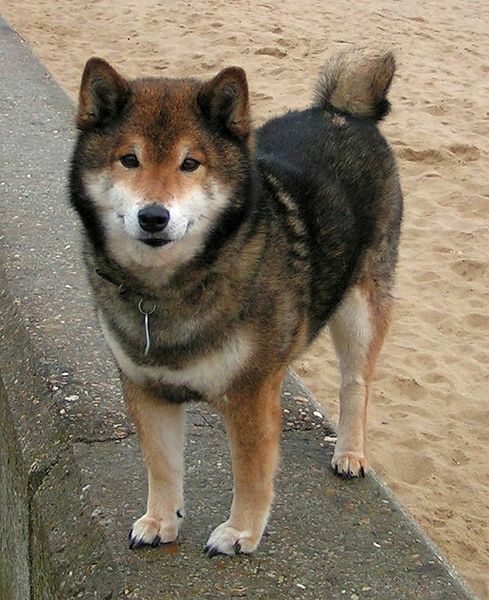 Since the Shiba Inu was bred to hunt, when they are on walks, they have a tendency to want to run or dart off they see an interesting critter. Keep this in mind when letting them off of the leash. If they see another dog or mainly a small squirrel, chipmunk, or bunny, they will most likely try to chase it to fulfill their hunting needs. Daily exercise and walks can help with any behavioral issues that they might be having. 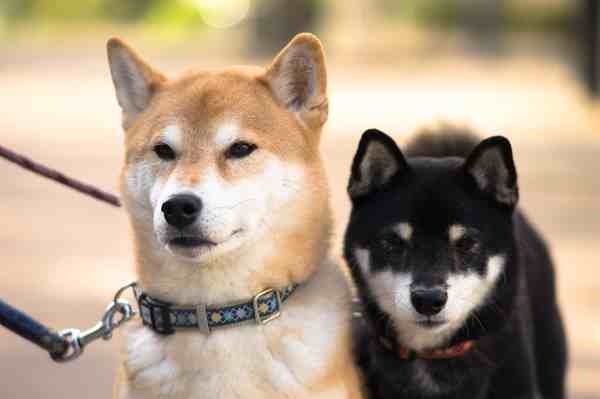 Shiba Inus are actually very clean dogs. They like to primp themselves and are fastidious with their appearance. Their dense, self-cleaning coat keeps them warm in cooler weather and helps keep them clean by repelling dirt and other natural elements. Since they groom themselves, they do not need to be bathed as much as one might think, but since they have a thick double coat, regular brushing is required. A simple brush with a firm bristles will do the trick. Pin brushes also work well. The do shed and do so heavily about twice a year. Deshedding combs, such as Furminators work great during these times. You can use them year round to prevent too much hair from landing on sofas' and carpet. Since they do shed heavily when seasons change, this breed is not recommended for those who have allergies. Bathing daily or weekly is not recommended because it strips their coat of the weatherproofing of the coat. They need the most grooming in warmer months when they are shedding. Beyond coat care, they need attention to their dental needs. If you can't brush their teeth everyday, strive for once per week. Check ears periodically and clean if necessary. Healthy nails grow quickly, so a trim or grind about every 3 weeks will keep the nails at a good length. This site offers some advice for grinding your dog's nails. Here's just one of their tips. "The grinding speed required for smaller nails is less, and you also need to apply less pressure, so you don’t cause injury to your dog’s nails." 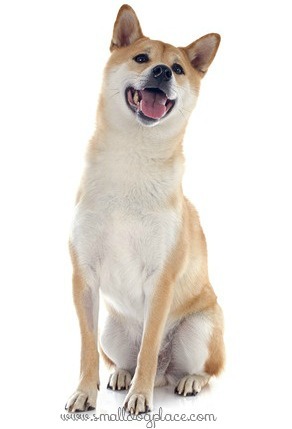 Shibas are very healthy dogs and do not have many serious health concerns. They are prone to the typical diseases of any small dog, but other than that, you do not have to worry about a large vet bill with this breed. Some Shibas are prone to skin allergies. 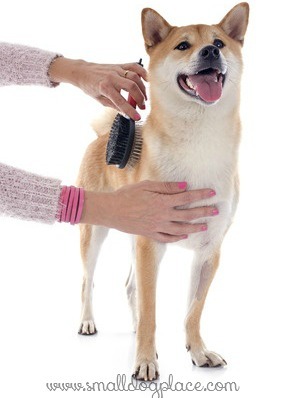 You will know if your Shiba has a problem if you see them scratching, have reddened skin and hair loss. Some of the allergies are due to flea allergy dermatitis (FAD), a condition where a single flea bite can cause a severe allergic response. These dogs are also susceptible to food allergies an inhalant alleriges. All of these allergies usually manifest themselves with the skin problems mentioned above. These problems are treatable with the guidance of your vet. From a genetic's point of view, the National Shiba Club of America recommends that breeders test for eye problems, knees and hips. Before looking for a puppy or an adult dog, we recommend you do your homework. These books below are all available from Amazon and provide valuable information and help when making your final decision.